This statistic shows the results of a survey conducted in the United States in February 2017. 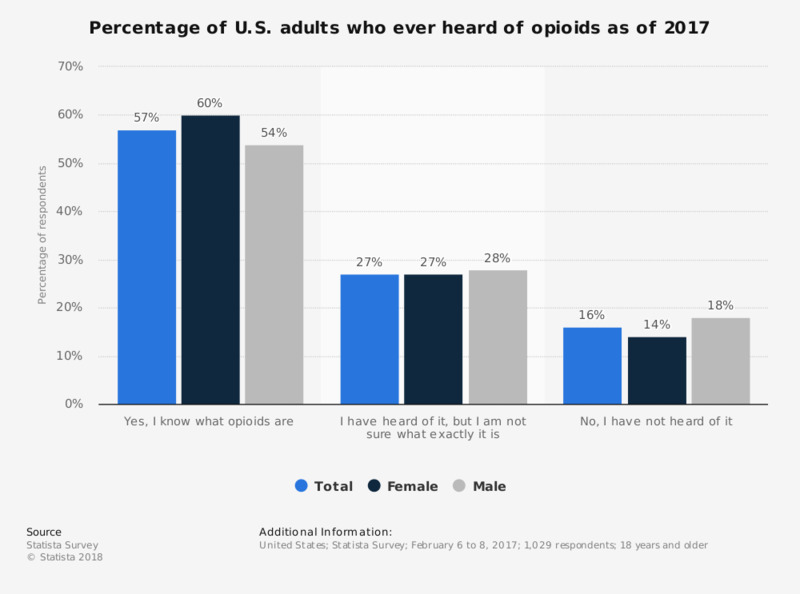 U.S. adults were asked if they ever heard of opioids. In total, 57 percent of respondents stated that they know what opioids are. Original question: "Have you ever heard of opioids?"